There are many advantages to a maid service, here are five of them. There are many advantages to having a maid, here are five of them. 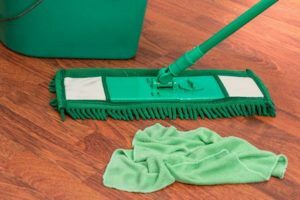 The obvious benefit of a maid service is having a clean home without doing the work yourself, but there are 5 hidden benefits to having a maid service you may not have thought of! How often are we able to manage cleaning our entire home in one swoop? We clean a few rooms or do a few tasks at a time. With maid service, we know that every room is clean and tidy and that the job is complete. We love crossing things off our to-do list and clean the house is not simply ONE checklist item! It’s taking out the trash, change the sheets, clean the bathrooms, mop the floor…and so on. Get peace of mind with a house cleaning service and check 10 things off your list at once. My maid comes every week on Thursdays without a single thought from me. Check! House cleaning is done. Remember back to when you walked into your home for the first time, you imagined family gatherings and friends filling the space. With maid service, family gatherings can require less planning and be more joyful, helping you live in the moment. Invite people over on a whim, you can be proud of your home again. On average we spend 2-3 hours cleaning our homes each week, that’s over one year of cleaning in a lifetime! If you could add one more year to your life to spend however you wanted, just imagine how different that year would be. Having a house cleaning service means more than just a clean home, it’s a better quality of life.